With all the buzz surrounding the stylish 500 it's easy to forget that it's not the only small car Fiat makes. 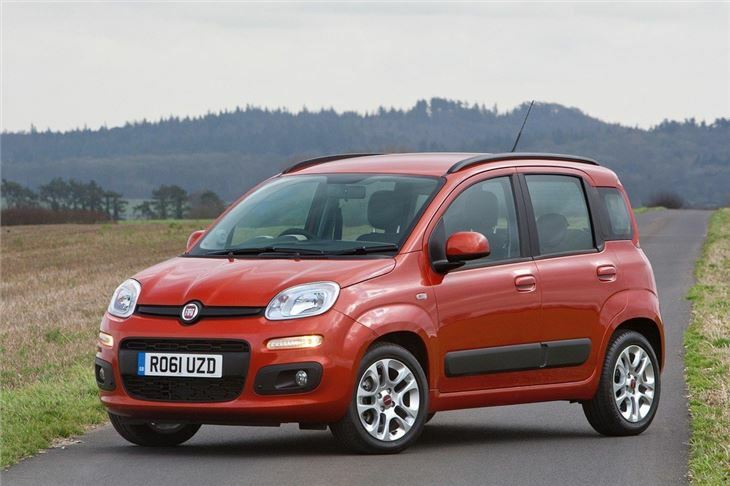 Eight years ago the Italian brand reinvented the Panda and now it's time for an all-new model. Fiat clearly isn't in a rush though - this is only the third generation of the Panda, a model first introduced 1980. So what's new? 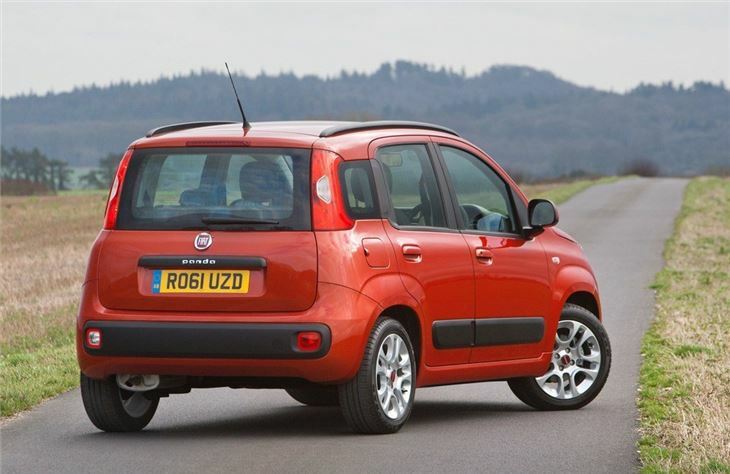 Well the styling certainly hasn't strayed too far. 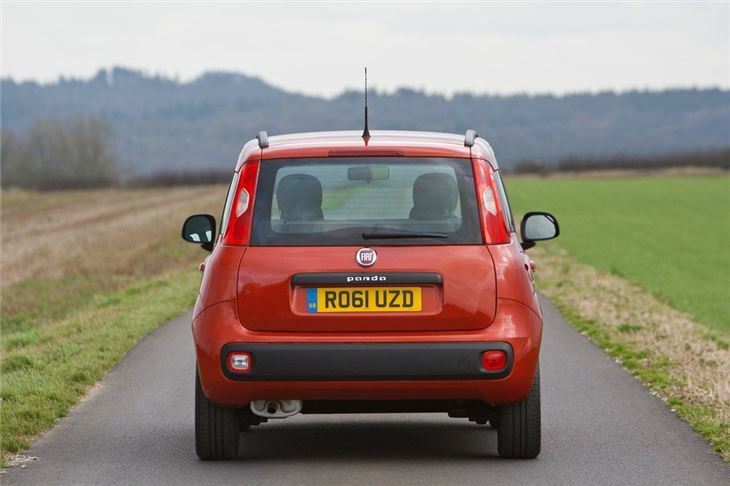 It's a smoother and softer shape but still easily recognisable as a Panda with the same upright stance and that near vertical rear end. It now looks more in line with the larger Punto and appears larger in photos than it actually is. It has certainly lost none of the character of the previous Panda. It's all change inside though. 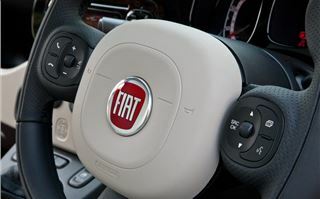 The interior design and quality have both improved with a more upmarket feel from behind the wheel. The plastics throughout are now nicer to touch and it feels better finished too. 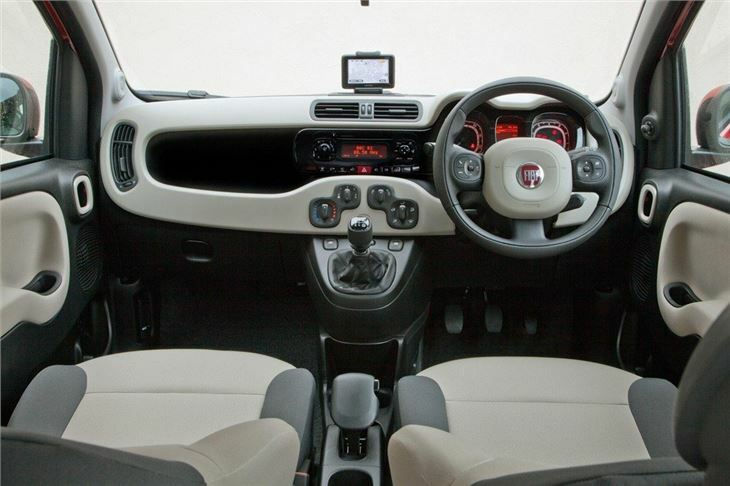 One of the design themes running through the new Panda is apparently called a 'squircle' which you'll see on everything from the steering wheel to the air conditioning controls and door handles. One new feature we're not sure about is the odd handbrake which seems over complicated for a small car like this. But the stereo is much improved from before as are the instrument dials. 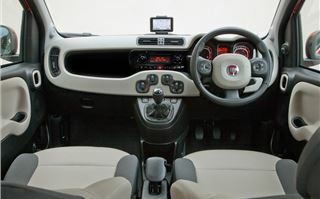 The driving position is good with a raised seat giving a good view out while the seats themselves are wider and have more adjustment, although disappointingly height adjustment on the driver's seat is an option rather than standard. 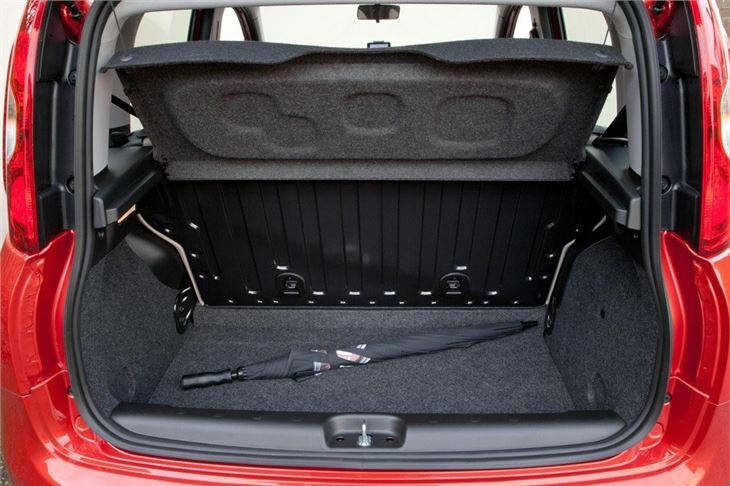 There's an abundance of storage for such a small car though with 14 stowage spaces including a really useful open dash area. 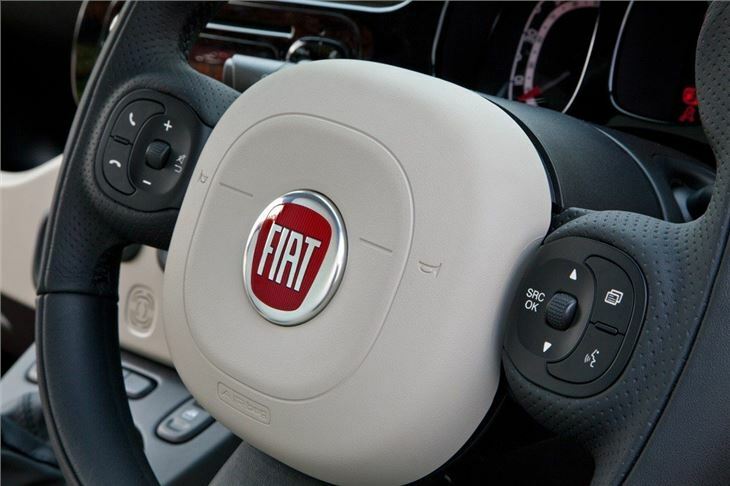 The two-tone colour design inside really helps to lift the cabin too. 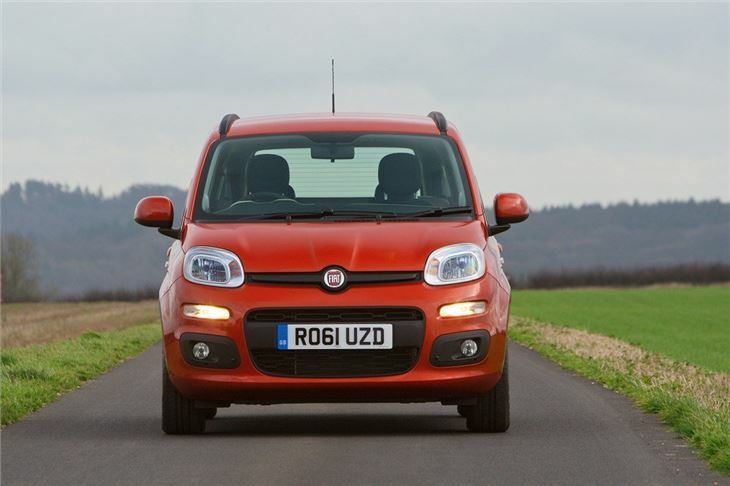 There have been less obvious improvements too such as an upgraded heating system which means the Panda now defrosts much quicker in winter conditions. 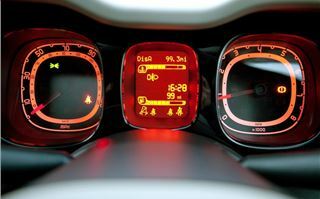 There is also the optional Blue&Me 'infotainment' system which lets you link devices such as mobile phones and MP3 players to the car, either via Bluetooth or a USB port. It was developed in conjunction with Microsoft but don't panic if you own an iPod as it works with Apple products too. 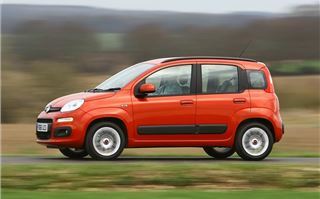 This new Panda is longer than before and a touch wider and taller. 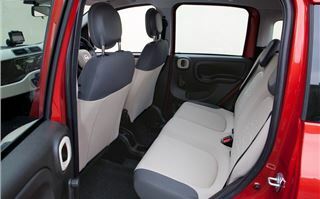 It's still a small car on the outside but it's now more spacious inside, most notably in the back where rear passengers will find there's more legroom (helped by slimmer front seats) and better shoulder room. 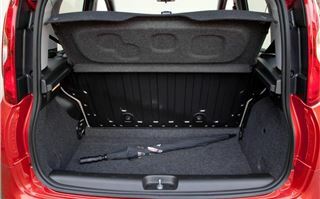 The boot is also better with a wider tailgate and lower lip, making it easier to haul heavy shopping bags into. There are two seats in the back although if you need to carry more people there's a middle seat, head restraint and seat belt package available as an option. Out on the road the first thing you'll notice about the Panda is how bouncy the ride is. This was also a charcteristic of the old model so although it adds to the get-up-and-go feel, it's not great on bumpy roads. 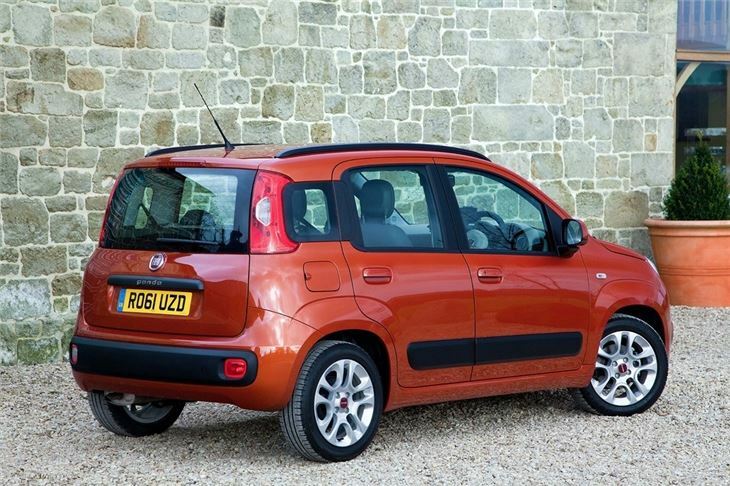 On the plus side, the body is more rigid which means the Panda handles better in corners and although the steering doesn't have much weight, it's responsive for quick changes of direction and nice and light for easy parking. The Panda is pretty noisy on the motorway and you do end up having to raise your voice to be heard over a combination of road and wind noise, but it's stable at 70mph and doesn't feel out if its depth keeping up with faster flowing traffic. 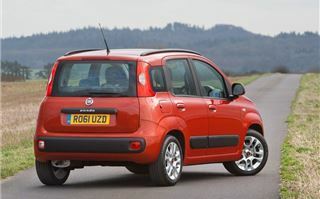 There are three engines to choose from but most people will go for the straightforward 1.2-litre petrol. 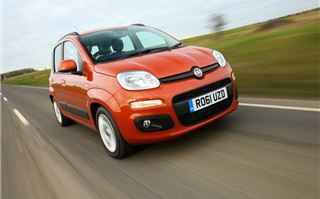 It's adequate enough with around 70PS and ideal for driving both in town and on the motorway. It can struggle for in-gear acceleration but at least economy is good with a claimed 54.3mpg. 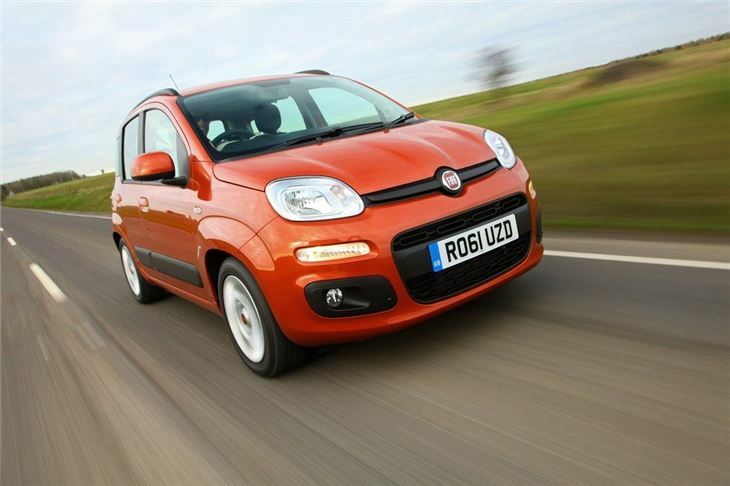 Quiet and smooth, it's the perfect engine for the Panda. 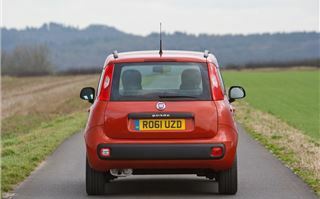 The model creating the most interest is the 0.9 TwinAir, an engine that was first fitted in the Fiat 500. It has just two cylinders (yes, two) but thanks to a turbocharger it develops 85PS. It has won plenty of awards but it's still a very odd engine to drive. It often feels like it's going to stall and so you end up often revving the socks off it when pulling out of junctions, just to be sure. Its noisy too and far from smooth, which means that it doesn't make for a relaxing drive. 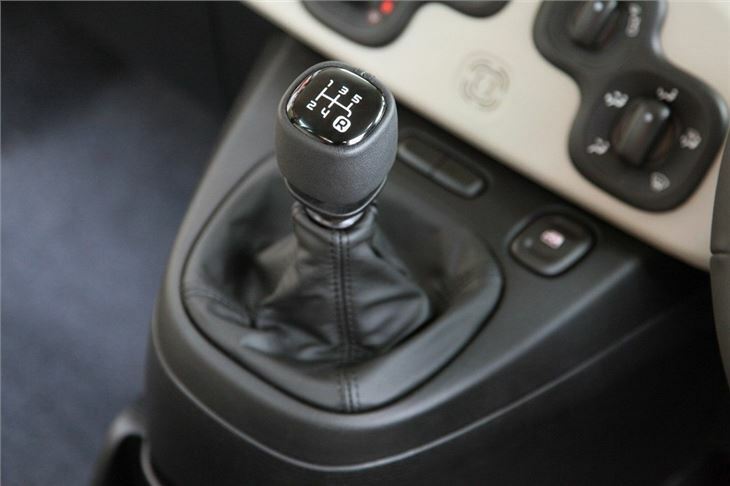 Compare it to a three-cylinder engine like the one in the new Up and you'd choose the Volkswagen one everytime. The one area where the TwinAir does well is economy. 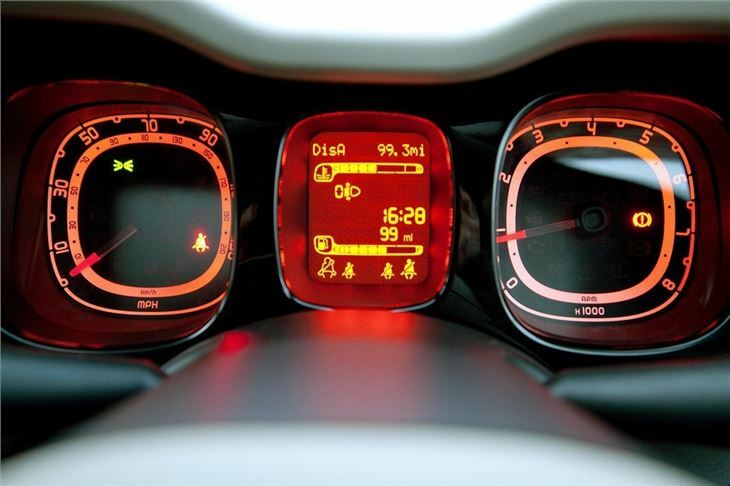 It will average a claimed 67.3mpg with CO2 emissions of 99g/km. 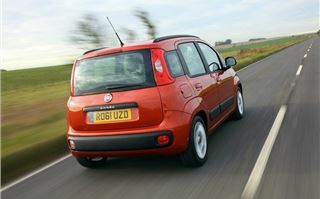 The third engine available is the 1.3 MulitJet which has 75PS and good of torque with 190Nm. If you're after a small car there's no shortage of good quality cars to choose from. 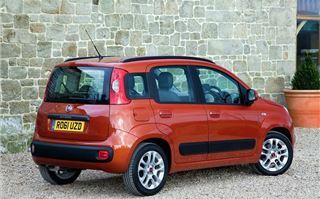 The new Panda will be fighting for attention along with the Kia Picanto and the new trio of the Volkswagen Up, SEAT Mii and Skoda Citigo. 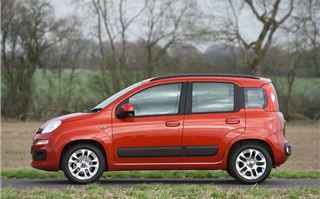 Not forgetting favourites like the Hyundai i10 and Ford Ka. 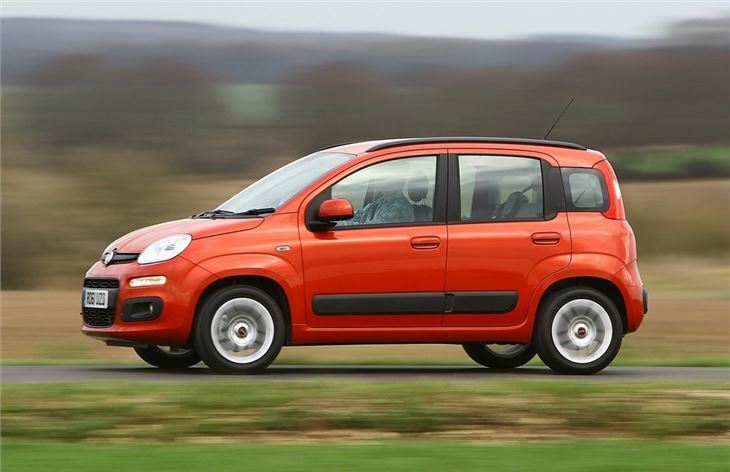 The Panda was always known for its value but that's no longer the case with a starting price of £8900. 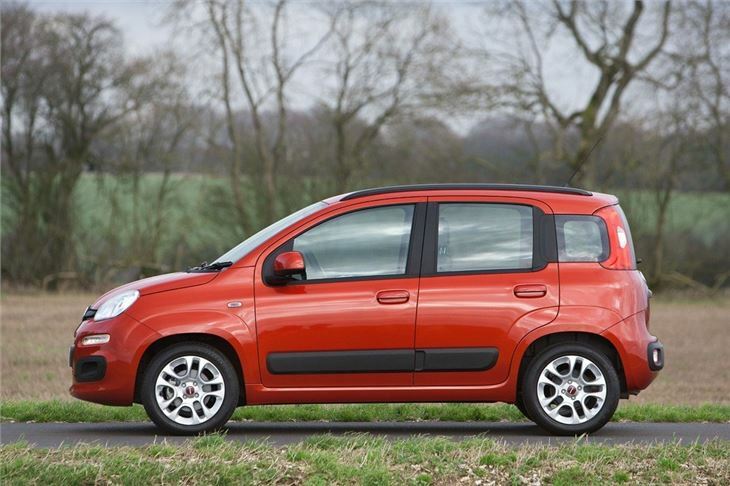 The cheapest Picanto is just £7800 and even the Volkswagen Up starts at an impressively low £7995. 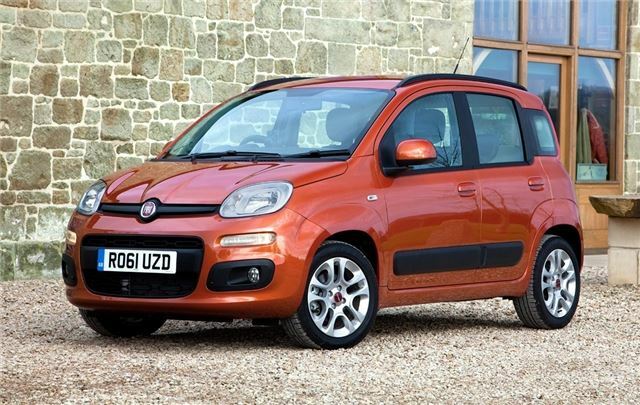 The basic Pop model isn't overflowing with standard kit either and doesn't get air con, alloy wheels or even remote central locking - features which are standard on similarly priced rivals. 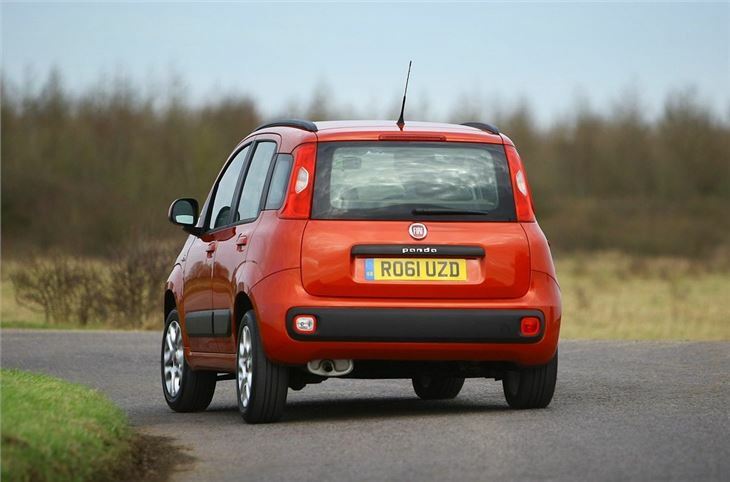 The Panda is still an affordable and fun small car, plus it's packed with plenty of character, but there are plenty of other small cars that offer a similar package.